Starting your career research can be overwhelming and extremely intimidating. Looking for a starting point can be difficult when it feels like you are being bombarded by an enormous amount of information. It is because of this that Career Services ensures that each student at Brock has a document to help them with their career search that is tailored to their own program. 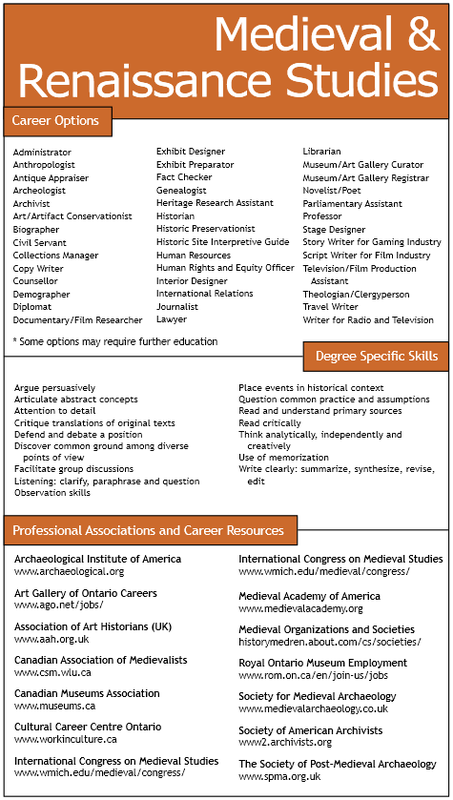 When consulting the 'Career Options' section of your DEG it is important to keep two things in mind: this is not an extensive list and some of these careers will require further education in the form of graduate studies (MA/PhD) or a graduate certificate. In order to conduct proper research on these career options we have put together a section on our website called Occupational Research which lists various websites that can be used to compliment your DEG. Career Cruising is my personal favourite since its provides you with the required education, estimated salary, workplace environment, and daily tasks involved in thousands of different careers. Our DEGs have been updated with the help of your program's advisers to ensure that information is relevant and useful for new and graduating students at Brock University.We highly recommend referencing not only your program but also programs you have taken cross-listed courses in (for instance, History of Art students should also reference the Medieval and Renaissance Studies, Classics, and Studies in Arts and Culture DEGs). 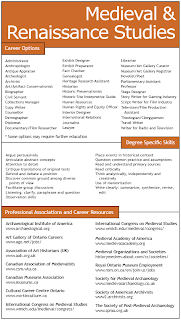 This way a wide range of career options and professional association websites can be made available to you. I'd like in order to thanks for those initiatives you earn on paper this short article. I'm hoping exactly the same greatest function through a person later on too. Right now click on as well as follow-up check cashing Many thanks permanently work.